The first chapter in our kindergarten curriculum is all about understanding numbers zero to five. We’re reviewing how to read and write the numbers and create sets for those quantities. We’re also learning the corresponding number words, and from my days in the kindergarten classroom I know those number words can be tricky. 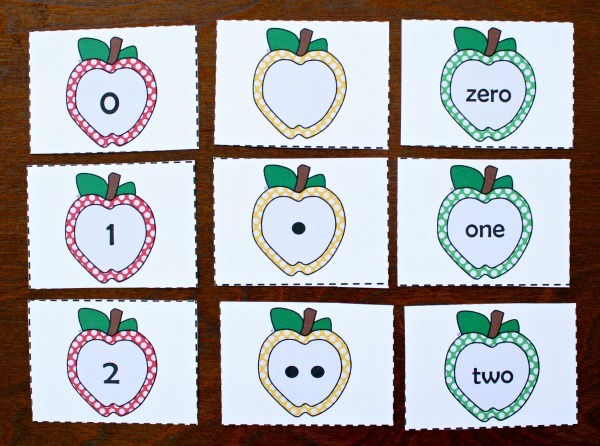 To help Lovey, I made a set of apple number cards for learning and play activities, and I thought you would enjoy having the free printable set, too! 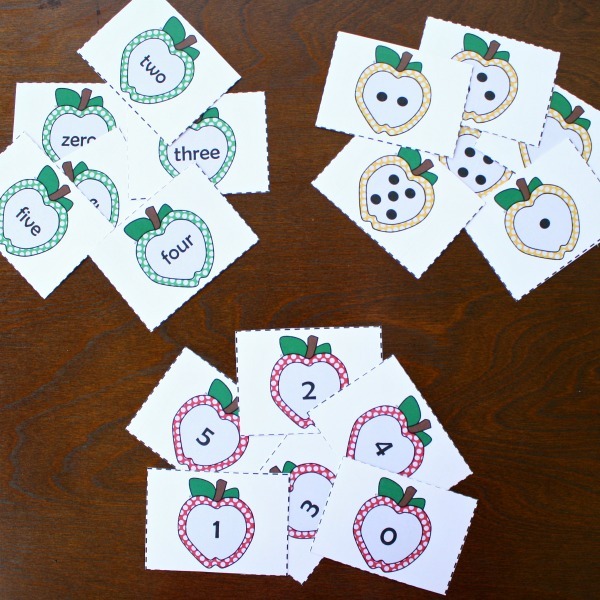 The full set includes number cards, set cards, and word cards for the numbers zero to five. Click Here to Get Your Free Printable. We use them to sort by kind. As we do we’re discussing which cards show numbers, which show number words, and which show sets. The picture below shows three separate stacks that have been sorted. Sometimes we use just one kind of card and work on ordering the sets. We can order them from least to greatest or greatest to least. Other times we use all the cards to create a table that organizes the numbers in order and then matches the related cards. We can also use the set cards and the number cards to model basic addition facts to five. The same two sets can be used to model basic subtraction. I hope you find this set of cards as versatile as we do! We’ve been carrying them everywhere lately for quick math practice. 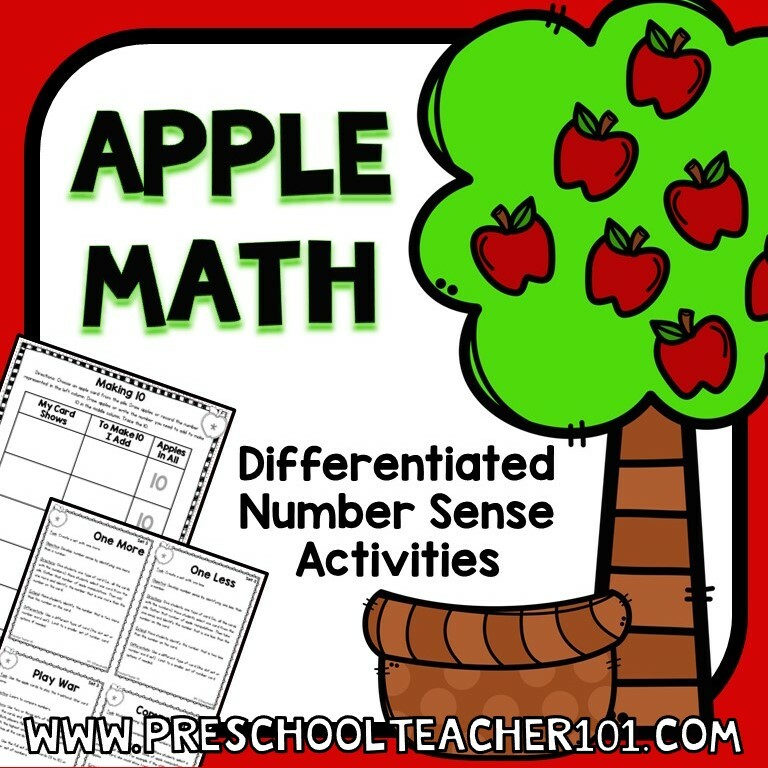 Want more activities for your apple number cards? 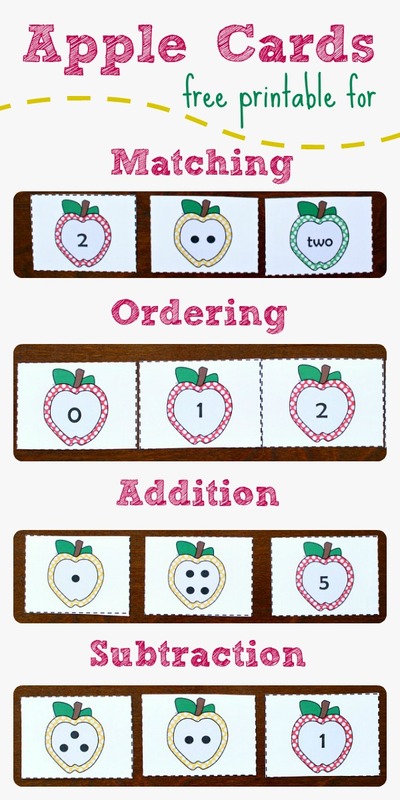 We’ve updated this set of number cards and added tons of activities to go along with them! 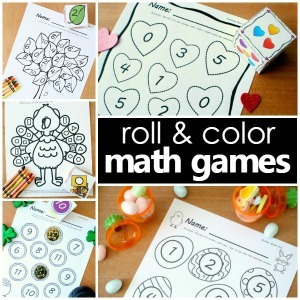 This 69-page number sense set is designed to be very interactive, giving kids many opportunities to use manipulatives. 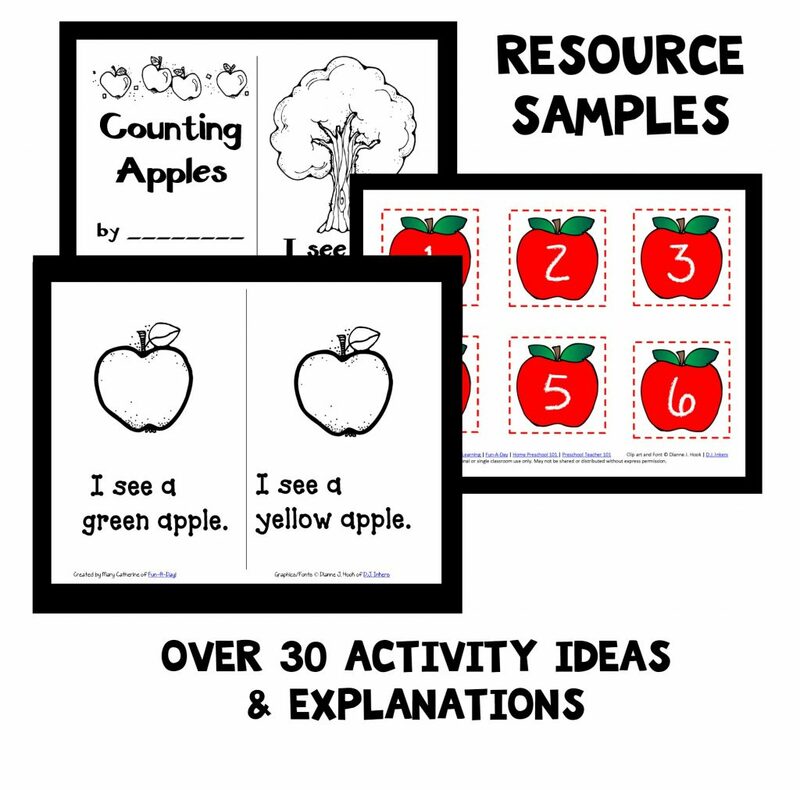 Lovely printable! Will be used this autumn! Thank you for taking a time to make it! I’m so sorry, Emily! I’m not sure why that would be happening. Maybe try right clicking on the link. Then select “Save Link As.” That should allow you to save the file. I hope it works. Thanks for the printables. They will be a great addition to our apple unit. Thank you for sharing this. We spend lots of time counting and although we are not at the level for the word numbers I will be using this to help when we get there. 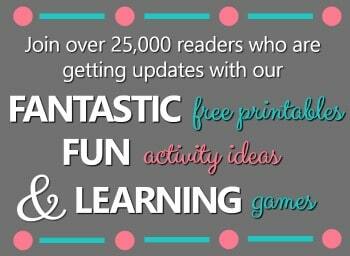 These are brilliant, thank you so much for sharing your printables. Thanks for this free printable. I have already printed it off and plan to make good use of starting tomorrow! You’re welcome. I’m so glad you can use it, Caryn!